What are The Best Weight Lifting Supplements To Get Big? 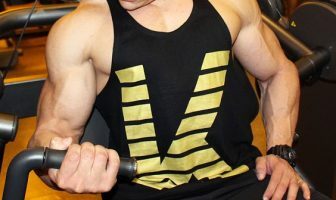 You are at:Home»Questions & Answers»What are The Best Weight Lifting Supplements To Get Big? I just started working out about 3 months ago. 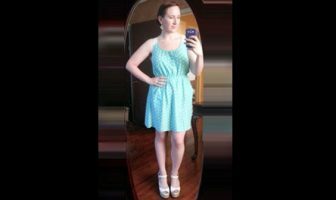 I currently do weight training three times per week (Monday, Wednesday, Friday) for about 1 hour per workout and I do some cardio on the weekends. My main fitness goal is to pack on lean muscle and reduce my body fat levels. A lot of guys at my gym take supplements to help them build muscle and I would like to get your advice on the best products you recommend for a beginner like me. First off, congratulations on starting a weight training program and overall fitness plan. It’s very difficult for a lot of people to actually get motivated and start an exercise program, so it’s great that you have taken the first step to build up your physique. Since you are so new to weight training, I have to give you my personal thoughts on the role nutritional supplements play in your muscle building plan. Supplements are just that, “supplements”, and they only supplement a solid nutrition plan, so always remember this when thinking about buying different products. The most important thing to focus on is fueling your body with 100% nutrient dense whole foods that provide the best macronutrients and micronutrients your body needs to build lean muscle tissue. You should never use supplements to try to fix a poor diet that is based around unhealthy foods like fast food and processed items. You should use supplements only when your diet is spot on and you are consuming the nutrient dense foods your body needs to run optimally. If you need more information on which muscle building foods to include in your diet, I highly recommend reading the Nutrition 101 article to learn the basics of solid nutrition. 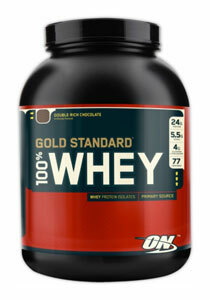 Whey protein is a very fast acting protein source that is derived from milk (the other is casein). Whey protein is very rich in branched chain amino acids (BCAAs) and is one of the highest quality proteins available. You want to include whey protein because it provides the body with a precise ratio of amino acids needed to repair and build lean muscle tissue. The best time to take whey protein is before and after your workouts since it provides a very fast ingesting source of protein to get to your muscles quickly. Your body needs the right ratios of micronutrients in order to perform optimally and many of the important micronutrients are either not supplied by your diet or you simply don’t eat enough of the right foods to supply enough of them. This is when a high potency multi-vitamin and mineral supplement can come in very handy. Creatine is a supplement that actually has proven studies showing the positive results on muscle building and recovery. The conclusion of the studies show that creatine supplementation leads to significant improvements in lower body maximal strength, maximal repetitive upper and lower body high power exercise bouts, and muscular endurance. These are the top 3 nutritional supplements that I recommend spending your hard-earned money on since they are the products that actually work and will provide the benefits you are looking for in terms of muscle building and recovery. Remember to always try to focus eating nutrient dense whole foods for the staple of your nutritional plan and then feel free to supplement with other items to assist you with your overall physique goals. What is a Good Leg Training Routine for Building Muscle?